Anyone can catch TB by breathing in TB bacteria. These bacteria are in microscopic droplets in the air coughed out by people with TB in their lung. If you breathe in TB bacteria your immune system � your body�s natural defence � usually kills all the bacteria and you don�t get ill. In most people, the body�s immune system controls the TB bacteria, which stay in the body at a low level. You are not ill and you�re not infectious. This is called latent TB. In about five to ten out of every 100 people with latent TB, the infection can start to multiply again or reactivate and lead to symptoms of active TB. You�re most at risk of developing active TB if your immune system isn�t working well. For example if you have diabetes, HIV, have had treatment for conditions like cancer and rheumatoid arthritis or an organ transplant. Do you think you have TB? Have you been in contact with someone with TB? In the UK, in almost half of patients their TB is not in the lungs. The second commonest part affected is the lymph nodes (usually in the neck), followed by abdomen, bones (including the spine) and brain. If you suspect you have TB you should contact our service or see your GP. The most important factor in diagnosing active TB is to think of it! If you have a cough your doctor will do a chest Xray and will arrange for some samples of your sputum or phlegm to be collected. If you might have active TB in another part of your body, you will usually have a small sample taken from the part affected. For example, if you have enlarged lymph glands a sample using a small needle, often guided by an ultrasound machine, will be collected. It is not painful as you will have a local anaesthetic. You�ll also have a chest X ray to see if you have TB in your lungs as well. You might be offered screening for latent or active TB. Who is screened for TB? Active TB can be completely cured with a course of antibiotics against TB for at least six months. Occasionally the TB bacteria may be resistant to one or more of the usual antibiotics so you might have treatment for longer. At the beginning of your treatment you�ll need to take lots of tablets. It is important not to miss any of your tablets. If you have active TB in your lungs you will be infectious. Simple advice to reduce your infectiousness to other people if you have TB in the lung is to cover your mouth when you cough. You may be asked to stay at home and have no new visitors. This is usually for two weeks. After two weeks of effective treatment you are usually low risk to other people but this will be assessed by the team looking after you. It is very important that you tell us all the people who you have had close contact with. These people will need to be offered screening for TB. These people will not be told your identification or details. If you have latent TB infection or active TB which is not in the lungs you are NOT infectious. What about vaccination against TB? The BCG vaccination helps your body�s defences to fight off TB. It does not protect you completely from TB. It is most effective at protecting young children from the severest forms of TB. This is why it is often given at birth. Its protective effect wears off as you get older. It is only given once. 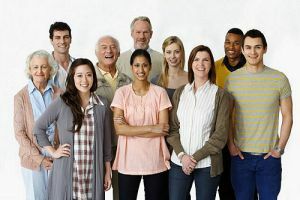 Please visit https://www.nhs.uk/conditions/vaccinations/when-is-bcg-tb-vaccine-needed/#adults-aged-16-to-35-who-should-have-the-bcg-vaccine for more information on who the NHS recommends has BCG vaccination. The North Central London TB Service offers BCG vaccination to people who have been in contact with someone with TB in the lungs, who have not had BCG before, are less than 16 years old and have no evidence of active or latent TB.